Please stop by the front desk to pickup and activate your 3-day pass. When requesting a 3-day pass, you will also be added to our monthly newsletter mailing list. Our newsletter offers healthy advice and will keep you up to date on current promotions and club news. 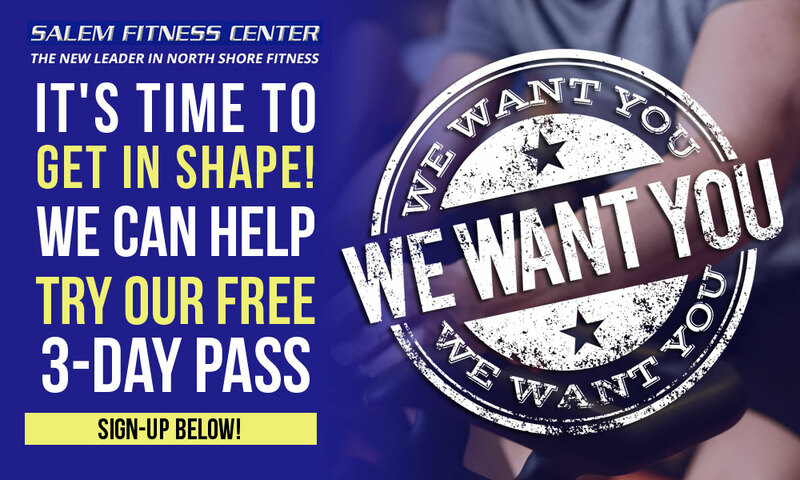 Guest passes are for first time, local residents only and must bring a local government issued ID to use the gym. By submitting this form I agree to be contacted by a representative of Salem Fitness for the purpose of inviting me to the gym for a tour of the facility before beginning my trial membership. If I have not activated my trial pass request within 30 days of submission, my request will automatically expire.